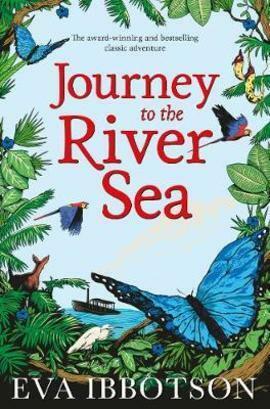 Eagles will be looking at a book called, JOURNEY TO THE RIVER SEA, by EVA IBBOTSAN. It is 1910 and Maia, tragically orphaned at thirteen, has been sent from England to start a new life with distant relatives in Manaus, hundreds of miles up the Amazon. She is accompanied by an eccentric and mysterious governess who has secret reasons of her own for making the journey. We read a few chapters of the book, Journey to the River Sea, and completed several activities throughout the day, to help us understand another culture and place in the world. We made links with our lives and that of Maia's. We had a few writing tasks focusing on writing a postcard as Maia (a character) to one of her friends from the Mayfair Academy for Girls. We answered questions about the first three chapters. We were fortunate enough to hear two stories read and performed by a staff member from the Milton Keynes Library. The children were extremely engaged in this very interactive story telling session. We also designed alternate book covers, designed a tropical smoothie. We made our own smoothies. Feel free to come in and have a look at the work we have done during world book day.